As the summer heat approaches, keep in mind that it is always best to apply sunscreen when your outside. All kidding aside, just how sunscreen helps prevent damage to your skin, the exterior makeup of your home works the same way. The exterior home includes your roof system, windows, protection around the home (siding or brick typically), and doors. Additionally, gutters and gutter guards can be included as well. While a lot can be said about your home’s roof, today’s topic will actually be more focused on windows. 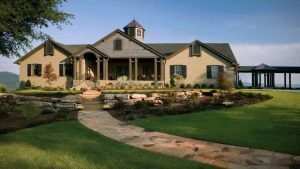 How do you select the best windows for a ranch style home? Many ranch style homes are simple in design which is why every last design element matters. From the landscaping to the front door, and from the windows to the eves troughs, every last detail makes a statement. If you feel that your home looks a little blah compared to your neighbors’ homes, there are a few updates you can make, starting with window replacement. Before you replace the windows in your home, however, there are a few considerations you should make first. Though you may have opted to replace your windows because you want to improve the appearance of your home, you should not negate function. Depending on where you live and what the weather conditions are like, you may need double or triple pane glass. If you live in an area that receives a lot of sun, pay particular attention the UV rating. The more energy efficient your windows are, the more you’ll save in the long run. Once you have found a type of window with satisfactory energy saving features, it is time to shop styles. Keep the style of your home in mind first and foremost—which, in this case, is ranch style. If you need a window that closes and locks firmly for security purposes, casement windows are ideal. 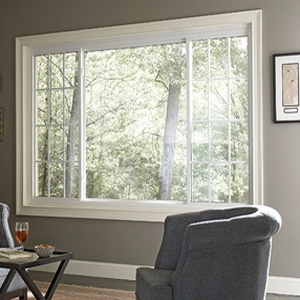 Casement windows also provide clean lines that match the sweeping style of your home. 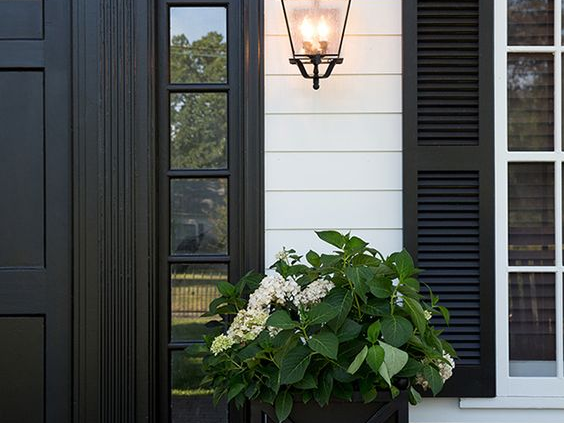 Picture windows are also nice in the front as they add a cottage charm to a ranch style. However, awning windows are also favorable as they provide for a nice breeze. A window replacement company can go over all of your options and help you decide on the best style for your needs and home. Window frames impact the look of a home more than most people think, which is why you should never overlook the type of frame that comes on each window. Most wood windows aren’t designed for ranch style homes, but because they’re the cheapest option, many homeowners opt for them anyway. Are you considering window replacement to revamp your ranch style home? Keep the above tips and mind to find a style that works for you. 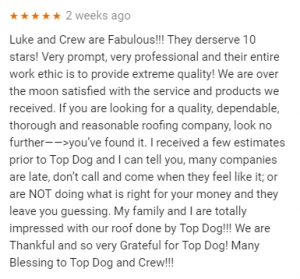 Be sure to call or email us at Top Dog Home Pro. We can help you select a design and customize windows for your home. Even if you don’t have a ranch style home, we can help you out! Windows and doors are two features that can make or break a house. The best thing about exterior home renovations is the return on investment for resale purposes. A brand new roof, front door, or new windows can be a huge selling point when you decided to sell you home. Have a great summer & as always feel free to reach out if you have any exterior home questions! P.S. Thank you for some of the recent reviews on Google! 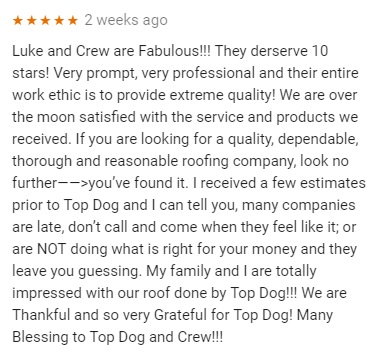 We love when people give us great reviews because one of our core values is to provide excellent service as a contractor. Thanks again!